There seems to be a lot of finger pointing in the aftermath of UFC 229, the mixed martial arts (MMA) pay-per-view (PPV) that ended with Khabib Nurmagomedov submitting Conor McGregor in the main event (highlights), then diving into the crowd to brawl with “Notorious” teammate Dillon Danis (replay here). The lightweight “Eagle” believes the combat sports media is to blame for promoting trash talkers like McGregor, who hold nothing back during the build up to a fight and cut loose on family, religion, politics, and whatever else is deemed fair game. Outspoken pundits (like this guy), meanwhile, are holding the promotion accountable for its “Bad Blood” narrative while hyping the Khabib-McGregor feud, suggesting that Dana White lit the fuse — then feigned surprise when the bomb went off. It should be noted the “Bad Blood” video preview was taken down immediately after the event. I think now is also a good time to point out that White grants leniency to troublesome fighters, so long as they do gangbusters at the box office. Even though it often leads to this. McGregor was in hot water earlier this year for his Brooklyn bus attack (video) and found himself in front of the local magistrate to answer for his crimes. While the end result for Nurmagomedov is likely to be much less dramatic, “The Eagle” will still need to appear before Nevada State Athletic Commission (NSAC) and face potential disciplinary action. Let’s hope UFC has a camera there to capture footage for marketing a potential Khabib-McGregor rematch. There’s a major UFC event this weekend, roughly 24 hours after Bellator MMA fires off one of the best fight cards in its entire history. Unfortunately, nobody is clicking on those posts, so I’m forced to revert back to the Floyd Mayweather vs. Conor McGregor hype. 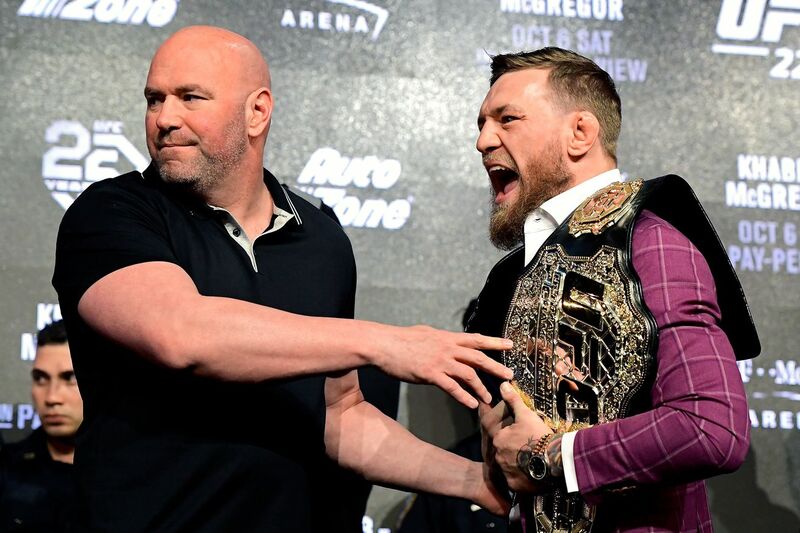 This latest angle comes from Mayweather’s assistant trainer Nate Jones, who is convinced “Money” will defeat the “Notorious” interloper when they collide this August, assuming McGregor doesn’t go crazy and do something stupid. Blame Joe Rogan for planting that seed. McGregor, one of the best mixed martial arts (MMA) fighters on the planet, is contractually obligated to keep this bout strictly boxing. That means elbow, knees in the clinch, and other punishing moves from his world of cage fighting are barred. According to this guy, he may not even need them. With a win over Chris Weidman at the upcoming UFC 210 pay-per-view (PPV) event — which is all set to go down on April 8, 2017 in Buffalo, New York — Gegard Mousasi inches himself closer to his first-ever UFC title shot. 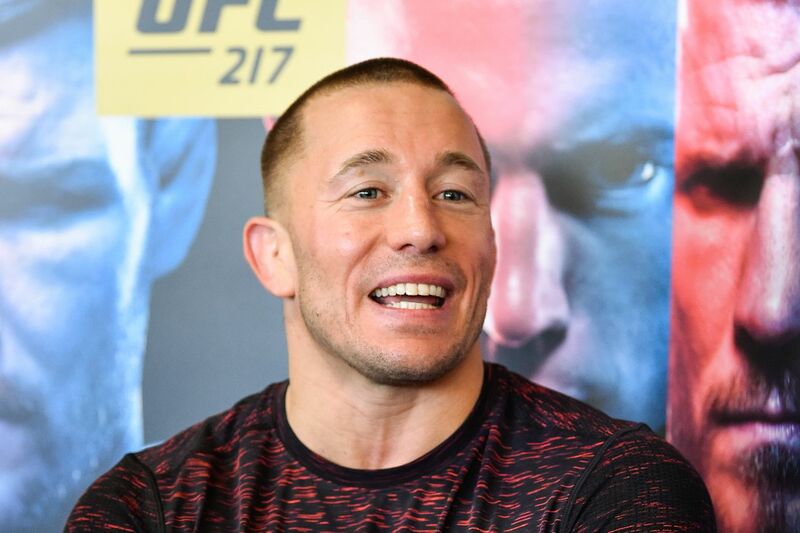 But, he will have to wait a bit longer, though, as the upcoming Middleweight title fight between division king and Georges St-Pierre has really muddled up the division that already had plenty of worthy contenders for “The Count” to face. “The UFC is making these fights that don’t make any sense,” Mousasi said. “Dan Henderson and now (Georges St-Pierre), so if they would have done it the correct way, Romero would have fought for his belt, (Ronaldo) ‘Jacare’ (Souza) would have got his shot by now, and I would have been afterwards. But because of this fight (between Bisping and St-Pierre) that really doesn’t make any sense, the No. 1 contenders have to wait,” said Mousasi in a recent interview with MMA Junkie. Indeed, Romero was promised his shot at the strap before “Rush” decided to come back into the picture. That said, he, along with Souza and Mousasi have to wait a bit longer to fulfill their championship dreams. This guy feels your pain, Mousasi. For more on the upcoming UFC 210 PPV event click here and here. Lorenz Larkin had one fight left in his deal with the UFC when he was offered a fight against Neil Magny at UFC 202 in August. The promotion reached out to him before the bout to try and re-sign him, but the California-native calls the offer a “slap in the face.” Three months have passed since his win, and he’s still yet to sign a new contract. “I’m kind of disappointed when it comes to the whole side of the UFC because it’s such a long waiting period, especially when everything first happened, the way it came to me (about) re-signing a new deal before my Magny fight,” Larkin told Ariel Helwani on Monday’s edition of The MMA Hour. “I just thought the offer they threw at me was kind of a slap in the face and I didn’t want to agree to that. Larkin admits he felt “really good” proving the UFC wrong and knocking Magny out in the first round at UFC 202, but was surprised that the promotion hasn’t reached out to make any offer since the bout. Larkin says he knows there’s interest, but thought he would have signed a deal by now. After being forced to sit for three months before testing free agency and getting offers from other promotions, Larkin says the whole situation involving free agency benefits the UFC. Before joining the UFC in 2013, Larkin racked up an impressive 4-0 record with one no-contest as a middleweight and light heavyweight in Strikeforce, capped off by a win over Robbie Lawler, and reveled that his managers contacted former Strikeforce head Scott Coker, who now runs Bellator. With four fights in his past five bouts, including three knockout finishes, Larkin will go wherever the best offer is instead of just staying in the UFC regardless. Larkin says the plan is to sign a contract soon, and he’s confident he will get a good one. The road to the UFC title ended in Croatia for “Big” Ben Rothwell, who saw his four-fight win streak snapped at the hands of Junior dos Santos at UFC Fight Night 86. The loss sent Rothwell back to a crowded landscape of heavyweight contenders and spoiled a surprising run that appeared to have the 34-year-old on the verge of competing for a UFC strap. Rothwell currently sits at No. 6 on the UFC heavyweight rankings, even despite the loss, so he knows all is not lost in the race towards gold. Still, he can’t help but wonder if he made the right decision. The fight against dos Santos never made much sense from a rankings standpoint. At the time, Rothwell was one of the division’s hottest fighters, a winner of four straight and fresh off a submission win over the unsubmittable Josh Barnett. Dos Santos, on the other hand, was still reeling from a TKO loss to Alistair Overeem and saw his stock hit an all-time low. Theoretically, the fight didn’t offer much to gain for “Big Ben” other than another notch onto his belt. But in his haste to stay active, Rothwell accepted it just days after dispatching Barnett. “I was on a four-fight win streak and I took on a guy off a loss. It was a stupid fight for me, strategically,” Rothwell said. Despite coming in as an underdog, dos Santos ended up having his best showing in years as he swept Rothwell on the scorecards and won the striking battle by a whopping margin of 157-78. Rothwell said on Monday that he felt off his game from the beginning of the fight. He called his uncharacteristic performance a “physical malfunction” and hinted that there were injuries which affected his camp. However he refused to delve into specifics or make excuses, chalking the loss up instead to a learning experience. “I just look back at my friend Robbie Lawler. He made his resurgence, got to that title fight,” Rothwell said. “Mine wasn’t a title fight but I feel it could’ve been. He lost a five-round decision only to come back, and look what’s he done now. I feel like I’m very much just a heavyweight version of him. I’m following behind him. I learned a lot in this five-round fight. Timing is everything in the fight game, and Rothwell now finds himself with a few options for his next step. Alistair Overeem’s victory on Sunday over Andrei Arlovski kicked off a trio of major heavyweight fights that are slated to unfold over the next several months. If all goes well, UFC champion Fabricio Werdum will collide with Stipe Miocic later this week at UFC 198, then Cain Velasquez and Travis Browne will meet on July 9 at UFC 200. Rothwell said he would love to fight one of those six contenders once the dust settles. “That’s the three fights I’ve really been paying attention to, and I feel like my next opponent would be taking on one of those six guys. Most likely, one of the losers of those six guys,” Rothwell said.